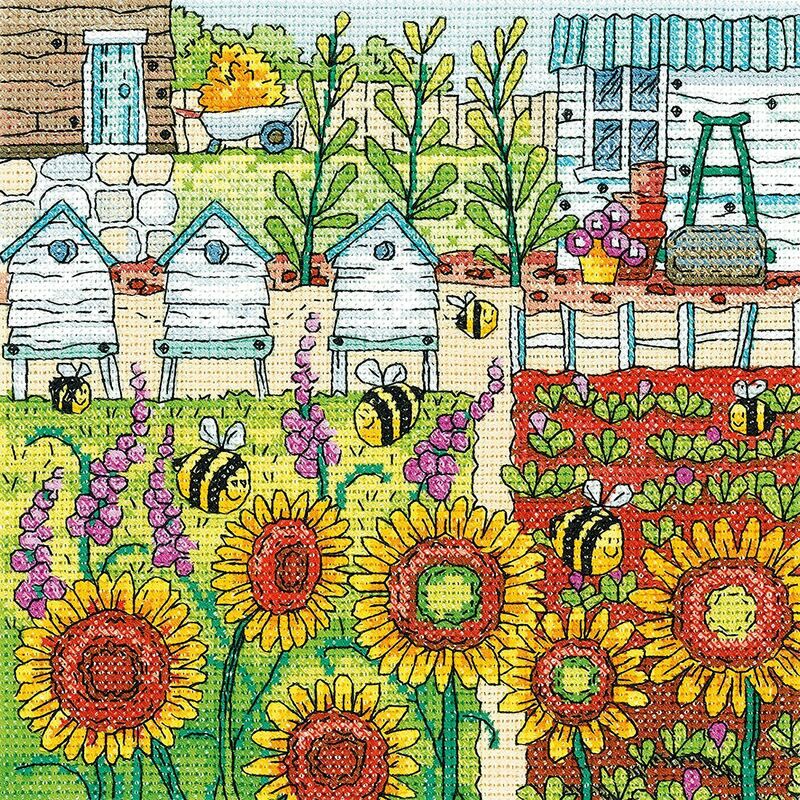 Making Honey cross stitch kit. Design Size : 16.5cm x 16.5cm. 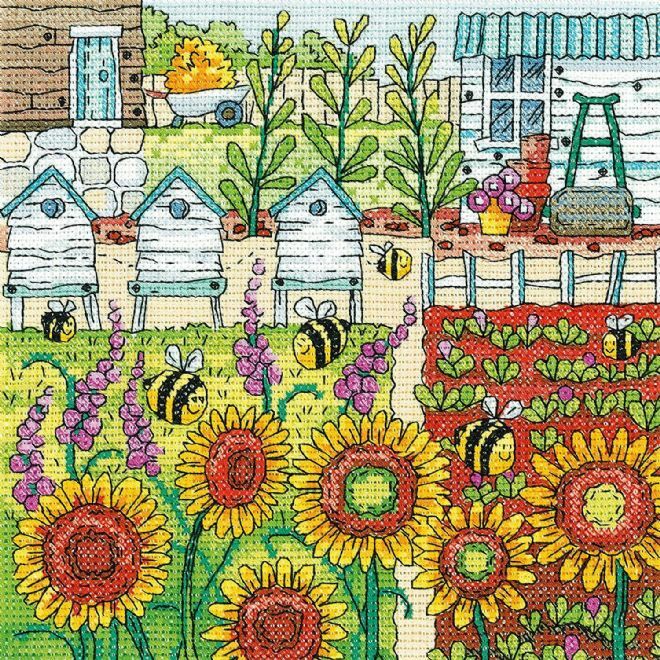 One of the the Heritage Crafts Karen Carter's Collection series of counted cross stitch kits released January 2018.